The Mercedes-Benz S class is being re-engineered for the 2018 model year. The Mercedes-Benz S-class sedan is undergoing changes for the 2018 model year, including a range of new engines to be available in Canada. The automaker unveiled the 2018 S class Tuesday at the Shanghai auto show. The exterior undergoes a nip and tuck that includes a new grille and a redesigned lower bumper section. Inside, Mercedes has added two, new high-resolution displays that are 12.3 inches long each. The steering wheel has also been redesigned. Mercedes said last week the 2018 S class will also be equipped with the latest autonomous driving technology. 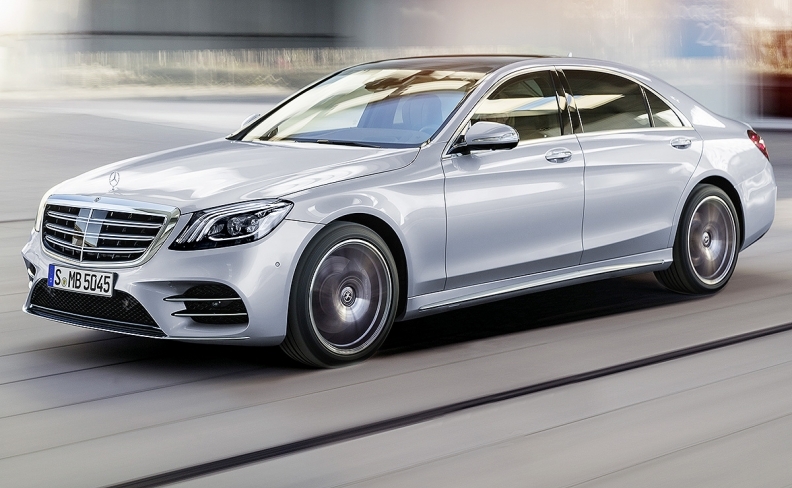 The new S450 4MATIC is powered by a 3.0-litre V-6 twin-turbo engine that produces 362 hp. The current S550 4MATIC model gets a new name for 2018, becoming the S560 4MATIC, and will be powered by a smaller V-8 with higher output than the outgoing V-8. The S560 4MATIC has a new 4.0-litre twin-turbo V-8 producing 463 hp and features cylinder deactivation that shuts down half its cylinders in lighter-load driving situations. The new Mercedes-Maybach S560 4MATIC also gets a version of that engine. Mercedes calls it one of the most economical V-8 engines in the world and says it consumes 10 per cent less fuel than the predecessor engine. The Mercedes-AMG S63 4MATIC+ gets a new handcrafted 4.0-litre twin-turbo V-8 with cylinder deactivation producing 603 hp. Despite the smaller displacement, that output is higher than that of the outgoing 5.5-litre twin-turbo V-8 in that model. Amy Wilson and Greg Layson contributed to this report.